Posts categorized "Selling a Home"
HomeInspectionBlog.com Gets Mention in Arizona Republic Real Estate Blogging Article! HomeInspectionBlog.com was recently mentioned in an Arizona Republic article by David van den Berg. The article on real estate bloggers came out in the May 17th Arizona Republic. "Blogs Will Grow As Tool For Real Estate", can also be viewed online. Note: In the article, the link to HomeInspectionBlog.com mistakenly has a space in it, so the link in the online article doesn't work. Home inspections are usually scheduled 3-5 days in advance, although we're usually able to accomodate last minute emergencies. In Arizona, you usually have 10 days from date of contract sigining to get your inspection done and give the sellers a list of any disapproved items. However, each contract is unique so you should always discuss the timing of your home inspection with your Real Estate Agent or attorney. A home inspection usually takes 2-3 hours. However, it all depends on the age and size of the house, as well as the home's condition and features. 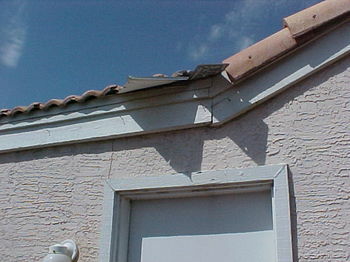 Vacant homes usually take less time to inspect than occupied homes. A home inspection is a visual assessment of the readily accessible components of the house. The items that are inspected will vary from state to state and inspector to inspector. In states with licensing requirements, such as Arizona, the regulating authority will set the minimum standards (what must be inspected and reported on). In non-regulated states, most good inspectors will join an industry organization and follow their standards. The most well known industry organizations are the American Society of Home Inspectors (ASHI), the National Association of Home Inspectors (NAHI) and the National Association of Certified Home Inspectors (NACHI). However, there are several other smaller ones like the Housing Inspection Foundation (HIF). The Standards of Practice, whether created by an industry organization, the State or both, are the minimum guidelines for home inspectors. The AZ Standards of Practice covers most of the major components of the house, and it describes what the inspector must inspect and what the inspector is not required to inspect. If you have a specific concern about a system or component in the home you are having inspected, ask the inspector before the inspection if it is covered and to what extent. Do not assume that something will be covered in the inspection, especially if you have concerns about it. Termite inspections and wood destroying insect inspections are not usually included in a home inspection. While many home inspectors are also qualified to inspect for termites, it is usually a separate inspection and additional fee. Some home inspection companies claim to include a termite inspection for "FREE" with each home inspection, but rest assured that nothing in life is "FREE". Those companies usually charge about $50-$75 more for a home inspection, so the termite inspection is not really "FREE", it's just already included in their higher than average home inspection price. Environmental issues such as mold, radon, lead-based paint and water quality are all outside the scope of a standard home inspection. 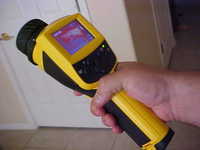 Sometimes these items can be evaluated by the home inspector, but they are not part of the home inspection. Separate tests are required and additional fees will usually apply. 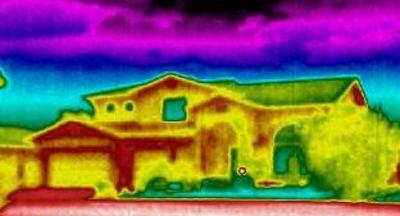 As I said earlier, a home inspection is a visual assessment. Systems will not be dismantled and no destructive testing will be performed. Items that are concealed behind finishes, furnishings and below the ground are not considered readily accessible. If significant deficiencies are present, further investigation by a specialist or contractor may be necessary. A home inspection is NOT a warranty or guarantee of any type. If you have any questions about what is and is not covered per the state requirements, please visit the Arizona Board of Technical Registration. Since Homewerx Home Inspections exceeds the state's minimum standards, please give us a call or comment on this post if you have any questions about what is included in your inspection. We'll be glad to answer any questions you might have! Radon is a cancer-causing, radioactive gas that has been found in homes all over the United States. It is created naturally by the breakdown of uranium in soil, rock and water. Radon typically gets trapped inside your home by moving up through the ground to the air above, then into your home through cracks and other holes in the foundation. Radon can also get into the home through well water. Once inside your home, it becomes part of the air you breathe or the water you drink. Depending on ventilation and other conditions inside your home, the radon concentration may pose a serious health risk to your family. Radon is invisible, odorless and tasteless so the only way to know your home's radon level is to test for it. Most people feel safe when they are at home and don't worry about getting radiation exposure from their house. But according to the Environmental Protection Agency, home is where you and your family are most likely to get your greatest radiation exposure because it's where you spend most of your time. In fact, the EPA estimates that radon causes 21,000 lung cancer deaths in the U.S. each year. This makes radon the second leading cause of lung cancer in the U.S. today, second only to smoking. And if you smoke plus have high radon levels in your home, your risk of lung cancer is extra high. The EPA says one out of every fifteen U.S. homes has an elevated level of radon (4 pCi/L or more). Furthermore, radon can be a problem in any home - new house or old, well-sealed or drafty, basement or no basement and regardless of the home's geographical location. It's not possible to predict radon levels based on state or local radon measurements, nor can you rely on radon test results taken in other homes in the neighborhood. If your home's radon level is 4 picoCuries per liter (pCi/L) or higher, the EPA recommends that steps be taken to reduce the radon level. Radon mitigation contractors may use a variety of techniques to reduce your radon level. Sealing cracks and other penetrations in the foundation may be part of the solution, but sealing cracks alone is not enough. A system of vent pipes and fans may be installed in the crawl space or another location in your home, creating a "sub-slab depressurization system". This system draws the radon gas through the vent pipes, preventing it from entering the home from below the concrete floor or outside the foundation. Radon mitigation contractors may also use other methods depending on the design of your home and other factors. While it sounds complicated and intrusive, these systems generally do not require major changes to your home, and repairs can usually be accomplished for around $800-$2500. Even in homes where the radon level is less than 4 pCi/L, radon may still pose a risk and in many cases, can be reduced. While radon cannot be eliminated, the radon level in your home can be minimized. Testing for radon is the first step. The EPA recommends a radon test for anybody that is buying, selling or building a home. The EPA also recommends testing your home after any major renovations, or if you change your living patterns (i.e. you begin occupying a basement level that was previously not used much). You should also re-test your home after having radon mitigation features installed to be sure that radon levels have been reduced. $150 if done in conjunction with a home inspection or other service. For more information or to schedule a radon test for your home, CALL HOMEWERX HOME INSPECTIONS TODAY! or you can schedule online! ....because an ounce of inspection is worth a pound of repair! One day as I arrived at my inspection, I was greeted by an excited home owner. He immediately started to talk about the "clean up" and how they were lucky. A little confused, he led me into the kitchen where I saw the charred remains of the microwave oven, black soot on the ceilings and walls, and crispy cabinets. It turns out that the night before the inspection, they went to clean the oven (they said that it was on my behalf, so I would have a nice clean oven to look at). A candle was left on the oven (not intentionally) and they left the house. When they returned, they found the fire department and the entire neighborhood in their driveway to greet them. Luckily for the homeowner, a passer by spotted flames through the kitchen window and called for help. This quick action from a total stranger saved their house from burning to the ground. I guess there are still some good Samaritans in the world. I guess what I am trying to say is watch your oven in the cleaning cycle. Remove all objects from inside and on top of the unit, and it is even wise to pull it out away from the wall and cabinetry. Although this was an accident, it could have been avoided by taking a few precautions. I'm just glad they still have a house to sell. A Pre-Sale Inspection, also called a Pre-Listing Inspection, identifies potential problems prior to listing the property for sale. 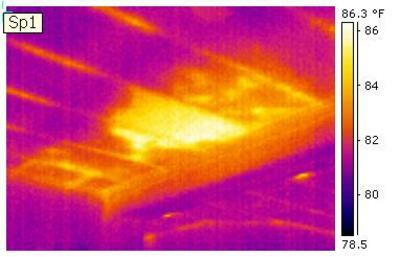 This type of inspection usually saves the seller a significant amount of time, money and frustration! Most buyers will have an inspection and may want defective items fixed. Even if your home is fairly new and well maintained, a good home inspector will find several dozen defects during an inspection. This can cause delays in closing, or could possibly even blow the deal if the seller refuses to make repairs. SELLERS BEWARE!!! On average, buyers negotiate TWICE the cost of repairs during a real estate transaction! Having a Pre-Sale Inspection before you list your home can ensure maximum sales price and minimize the time it takes to sell your home. By having a Pre-Sale Inspection and making necessary repairs in advance, sellers are much more likely to receive full market value for their house. Even if the seller decides not to make all, or any necessary repairs before putting the house for sale, just knowing what issues are likely to arise can help keep you in control of the transaction. A Pre-Sale Inspection may also aid the seller and Seller's Agent in minimizing liability and complying with state law, by disclosing defects. To further limit liability, sellers may also want to consider ordering an Arizona Disclosure Report or a Neighborhood Environmental Report. Knowledge is power! Schedule a Pre-Sale Inspection today! Call (480) 503-2611 or SCHEDULE ONLINE!